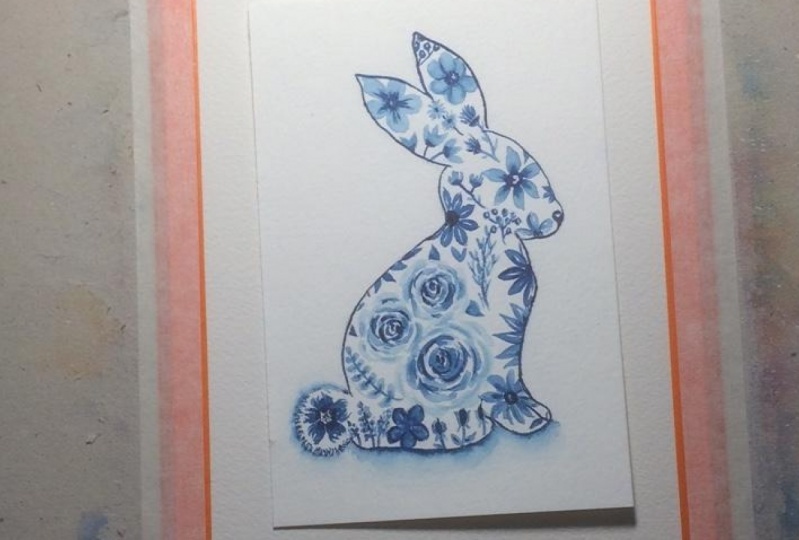 I enjoyed this class and thought I would make a monochrome bunny to mimic a blue china pattern. I used Prussian Blue from my Mission Gold Watercolour set, I wasn’t sure if I should outline it and add a bit of shadow so there is a picture before I went ahead with it. I was glad I did in the end. This will make a nice Easter card for my Mom.